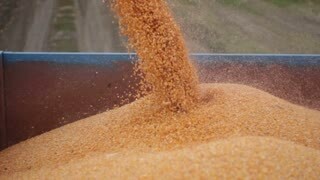 Pouring corn grain into tractor trailer after harvest. 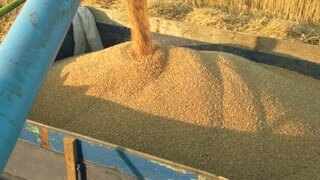 Filling a big trailer with wheat corns out of combine harvester on a beautiful day. 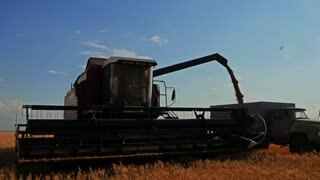 Harvester combine pours the grain into the truck on the field. Threshing machine pouring the just harvested wheat into a silo. Harvester combine pours the grain into the truck on the field. 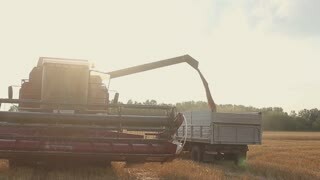 Silhouette of combine harvester pours out wheat into the truck at sunset. Harvesting grain field, crop season. 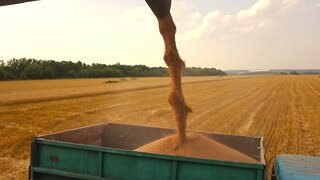 Harvester loading crops into a trailer. 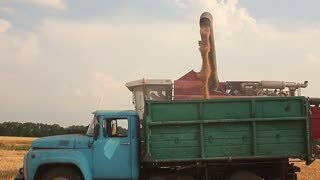 Сombine harvester unloading harvested grain. 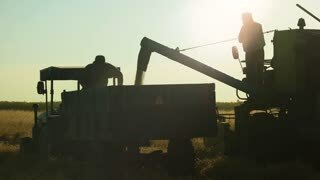 Working farmers, tractor and combine. 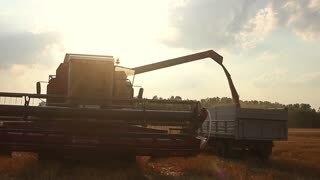 Harvester harvests crops and pours grain into a truck.